SANTA BARBARA, CA (smt)- It is so nice that if you don't like how something is being viewed, you can just force a company like Rotten Tomatoes to change their scoring methods or delete a bunch of data until it comes out positive. Luckily, the HWCI NCAA Pool will not bow to trolls and will continue to press on, year after year, this being our 25th silver anniversary. 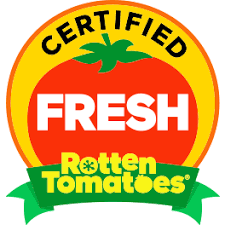 Considering we have had at least 125 entries the past 9 years with 89.5% of the entries returning players this year, I say we are Certified Fresh! The last weekend was brutal after a relatively chalk first weekend (so chalk that one entry was actually perfect and Honey Badger in our pool shattered the previous record of 14-2 by going a perfect 16-0 for the 2nd round). However, it opened a door for two Final Four newbies as the #5MW-Auburn Tigers and #3W-Texas Tech Red Raiders reached the final weekend for the first time and hope to duplicate what last happened in '99, a first-time Final Four team winning the title (UConn). 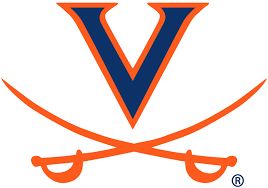 #1S-Virginia hasn't reached a Final Four in 35 years and is making only their 3rd appearance ever. Only #2E-Michigan St is a veteran reaching its 10th Final Four and hopes to add a 3rd NCAA title. In the pool, 13 are alive with 5 who can win the pool title. If Michigan St beats Texas Tech, The Gambler 2 or Kds911 will win the pool (tiebreak for 1st). For the $40 Bonus, 17 can win the Bonus1 and 2 of the 8 Final Four scenarios would allow most entries to be back in to try to win Bonus2 (closest to total points in final). For our 9th HWCI NCAA First Four for Charity free contest, 25 people participated, the most since 26 participated in '12. Eric C has a one-point lead after the first 2 games and then missed by only six points in the second day to win the pool with a 4-0 record and point differential of just 14. The 14 is the second smallest ever (9 by Craig H in '17). Eric C is the first person to win the contest twice and he has done it back-to-back, winning last year with a 3-1 record and 27 point differential. Everyone got at least one game correct buy Roy W finished last with a large 53 point differential. The good news is that the Boys & Girls Clubs of America, which enables all young people, especially those who need us most, to reach their full potential as productive, caring, responsible citizens, will be getting at least $85, $50 directly from me with Charles D (Sisyphus13), John S (Mr Wizard), and Robert S (John Galt) contributing a total of $35 to also help out. Having two young kids, one boy and one girl of my own, this felt appropriate and it was also one of the highest rated charities according to Consumer Reports. I won't be submitting the payment until next month, so there's still plenty of time if you want to chip in ;-). We have averaged over $87 per year in donations and have contributed over $783 to help a variety of causes and organizations. Fortunately, there haven't been any major disasters in March since the 2011 Japan Earthquake, which sparked my idea for this contest in the first place, so we have chosen educational, cancer research, humanitarian, local help, Christian, and fundraisers.